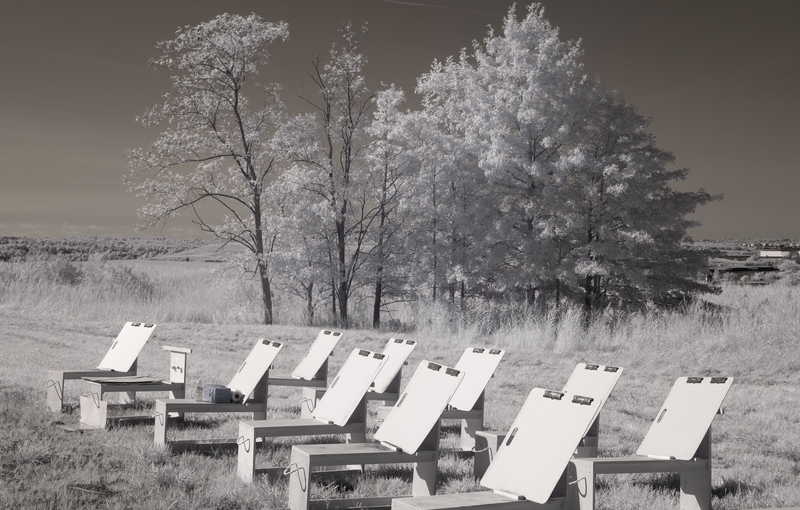 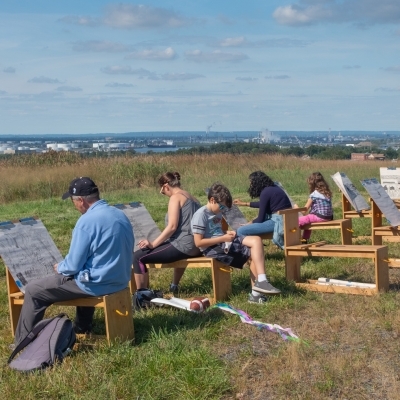 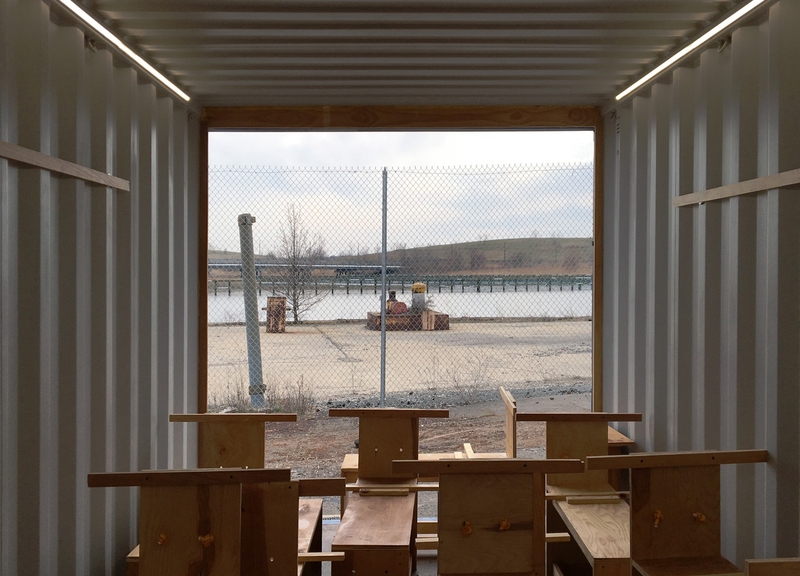 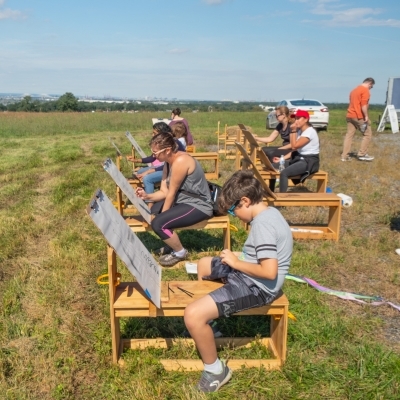 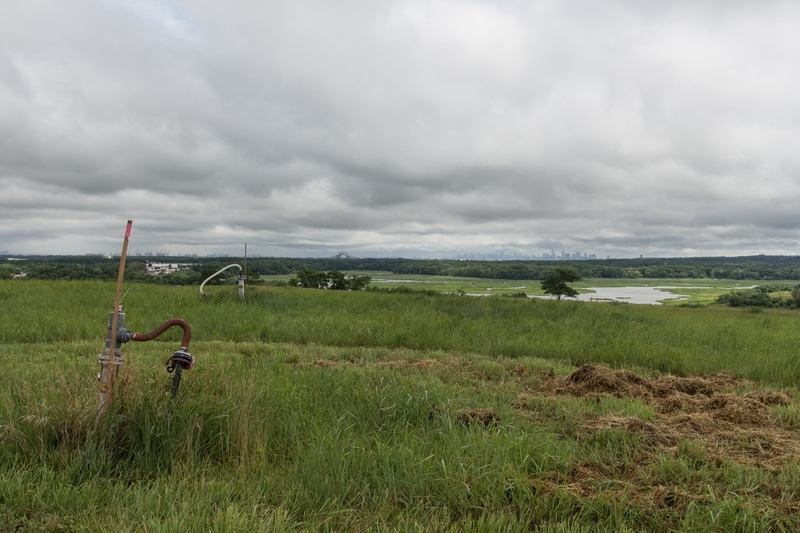 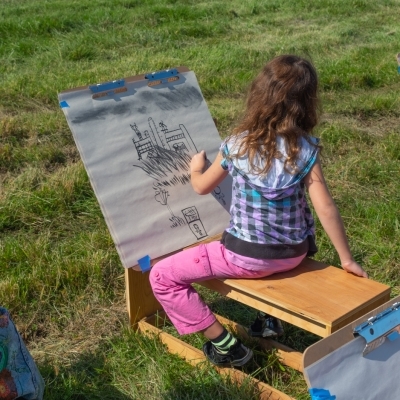 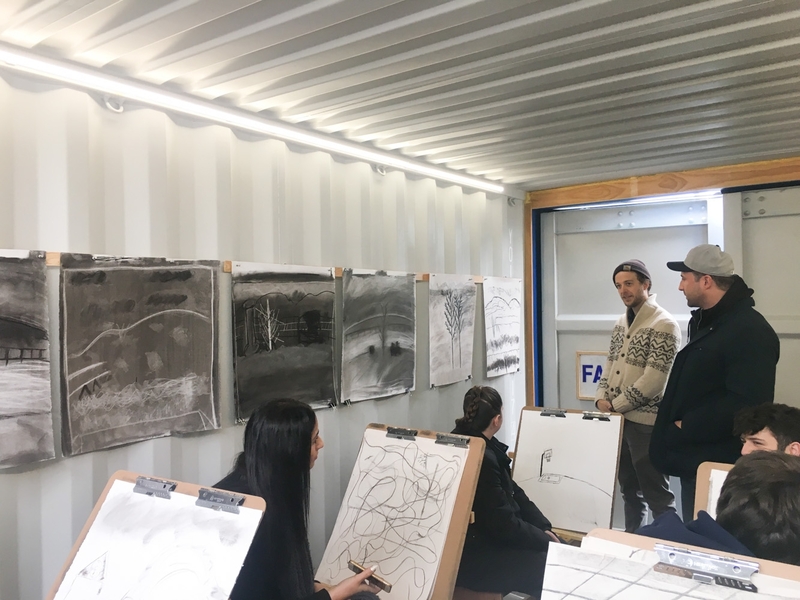 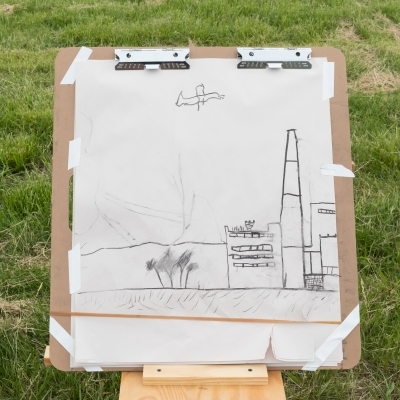 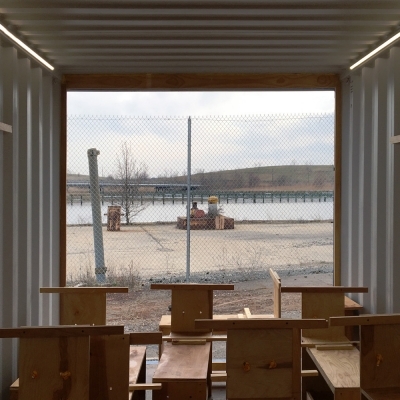 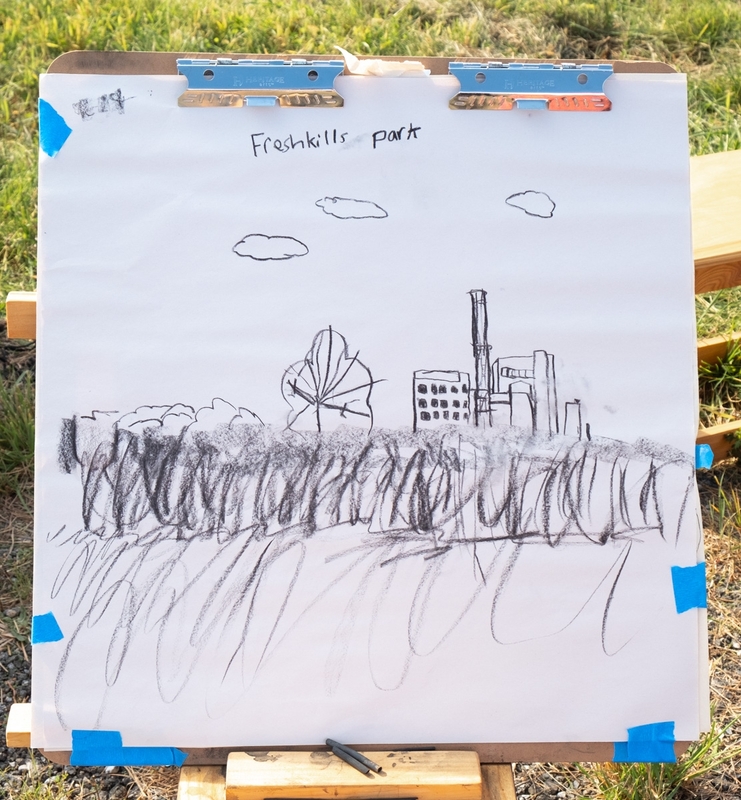 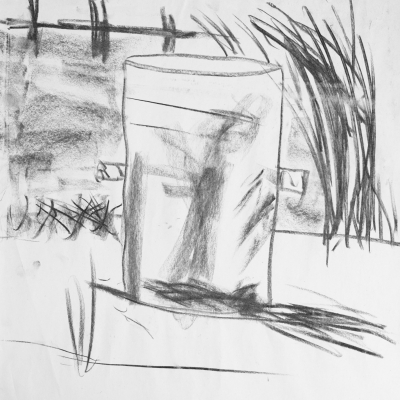 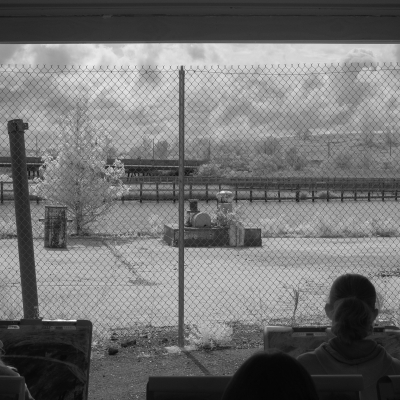 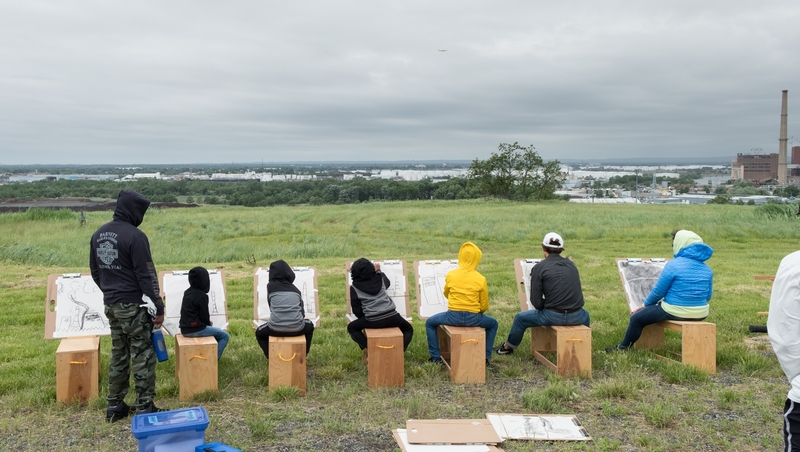 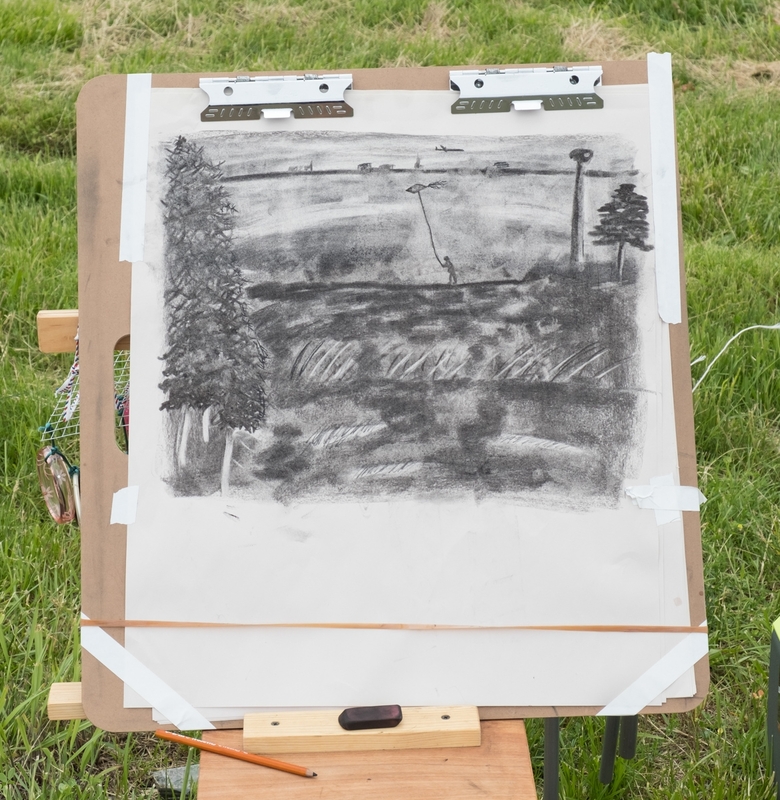 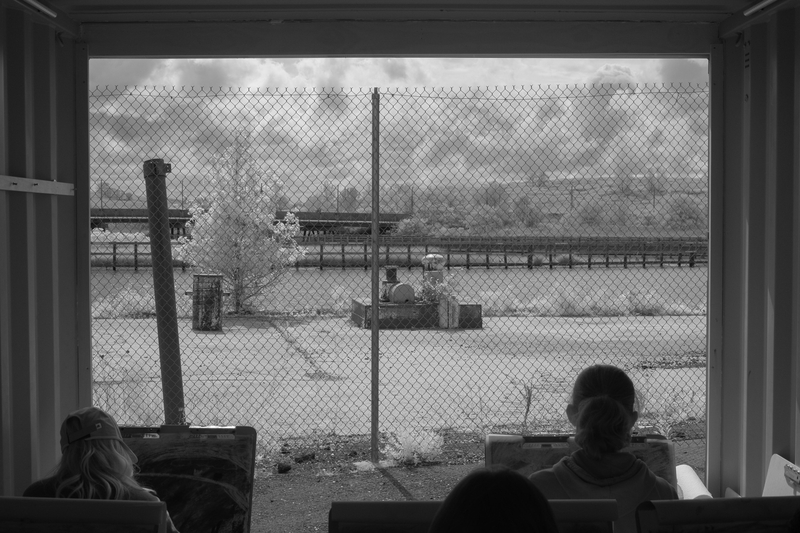 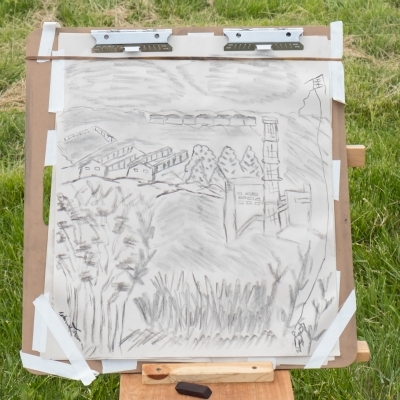 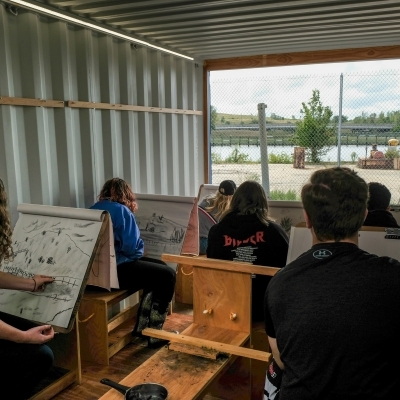 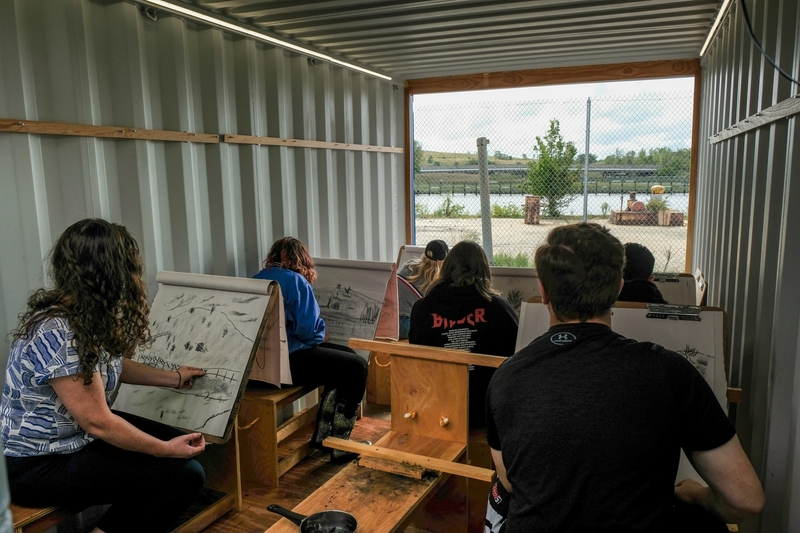 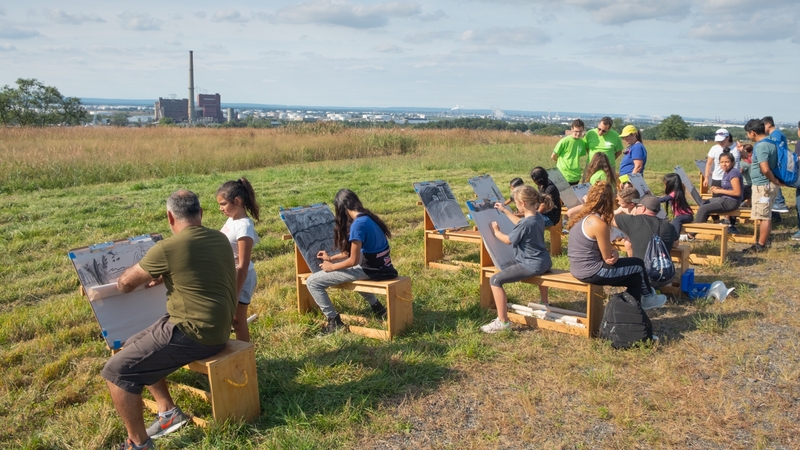 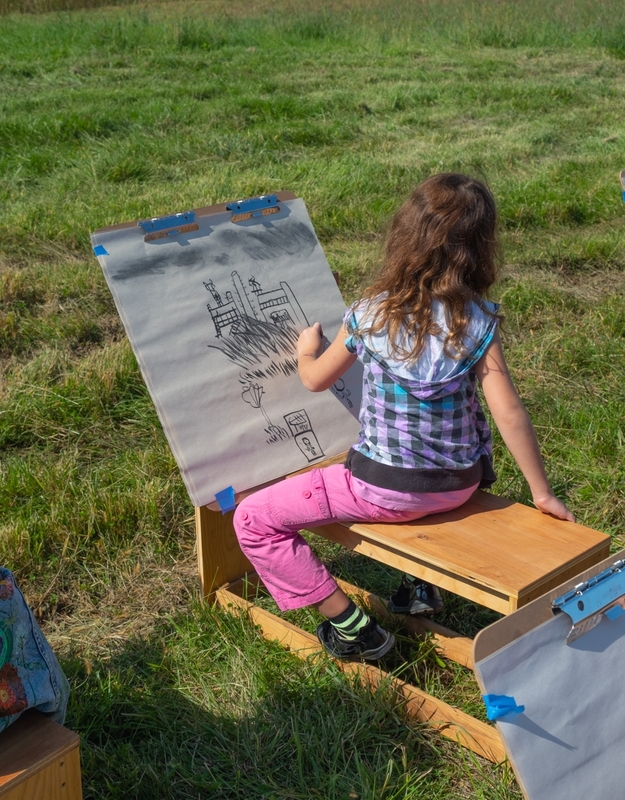 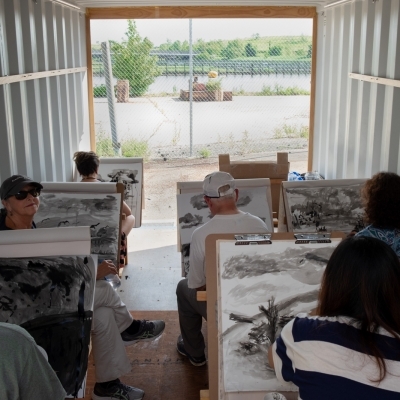 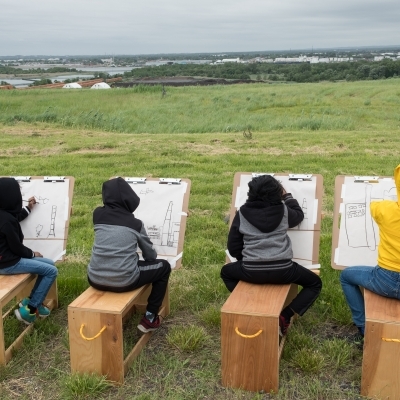 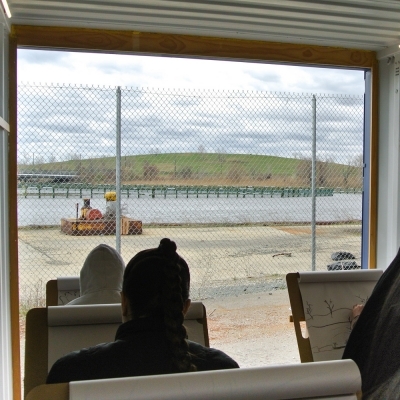 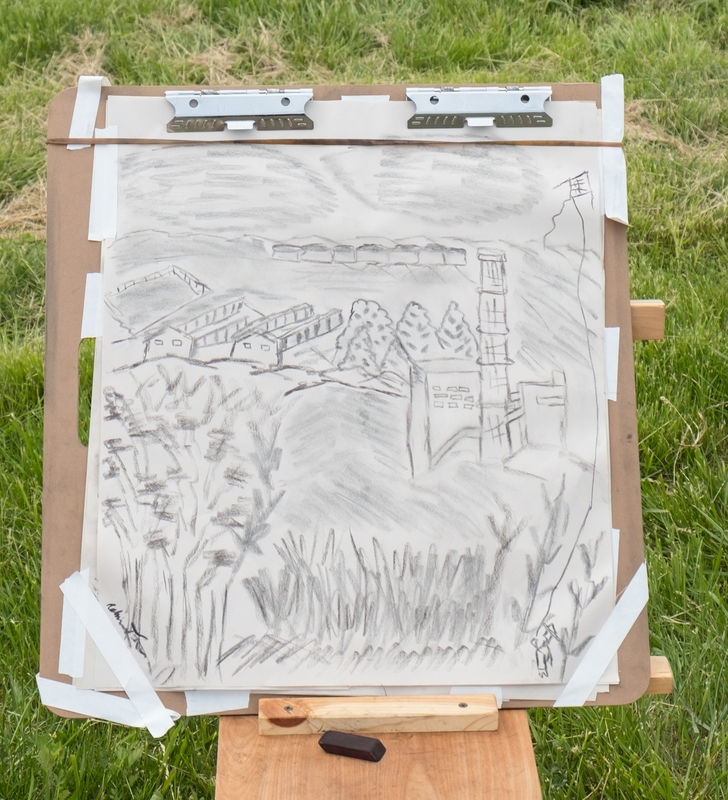 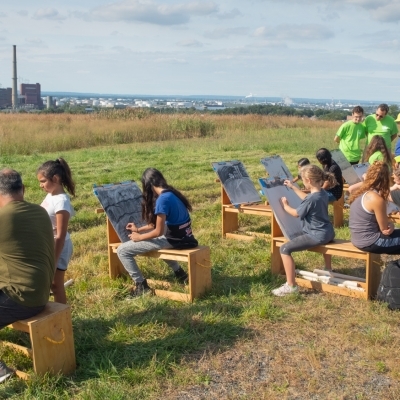 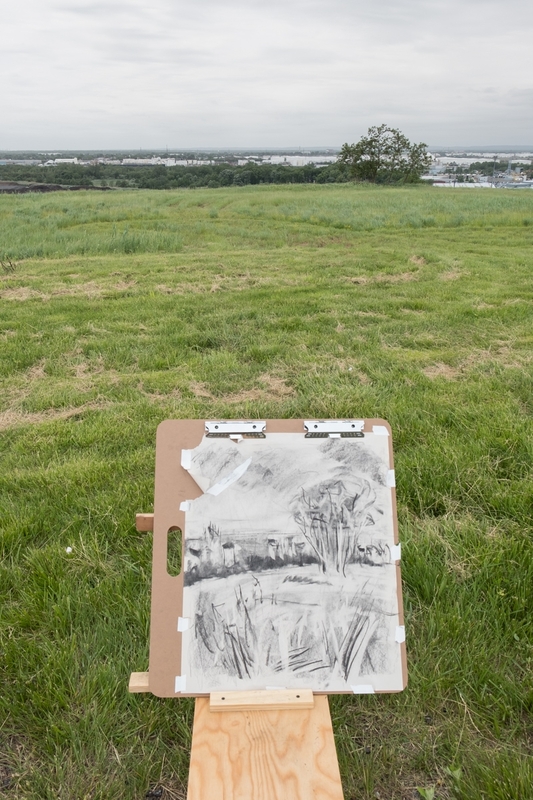 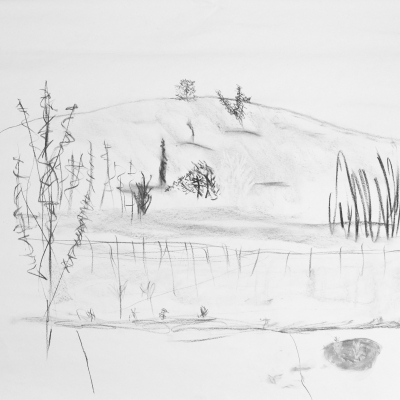 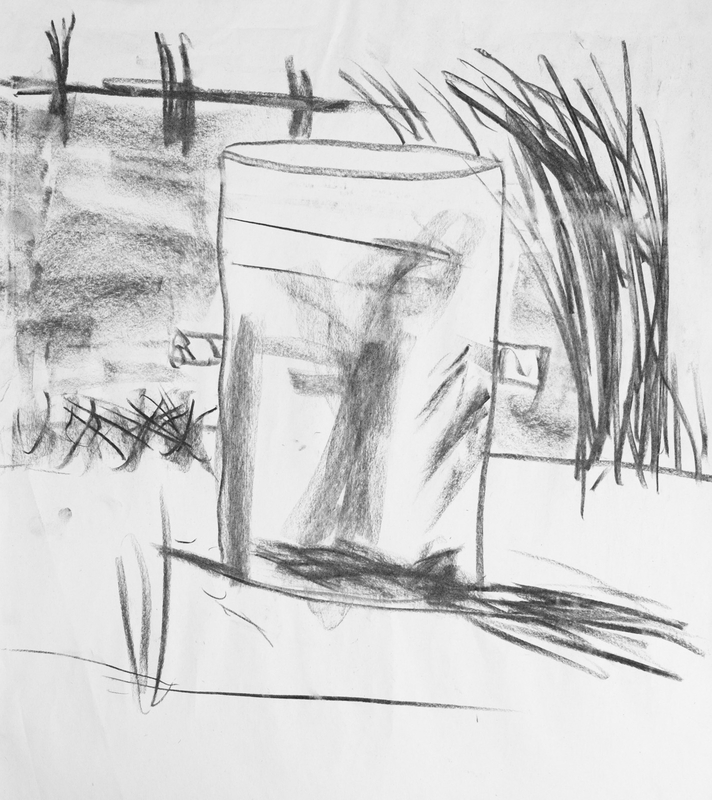 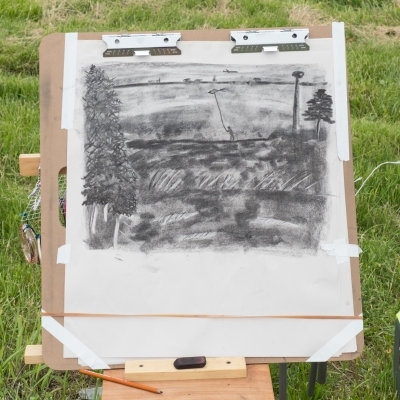 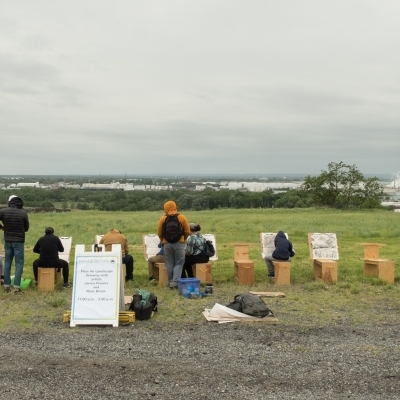 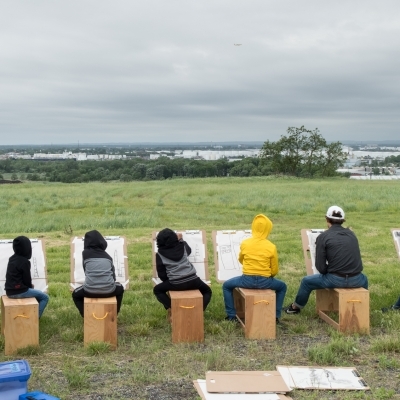 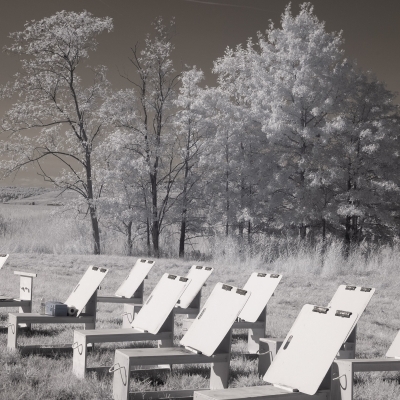 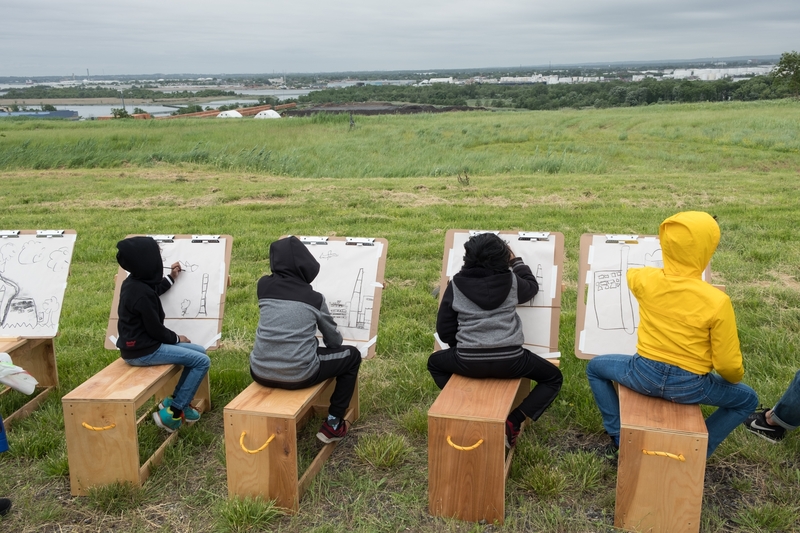 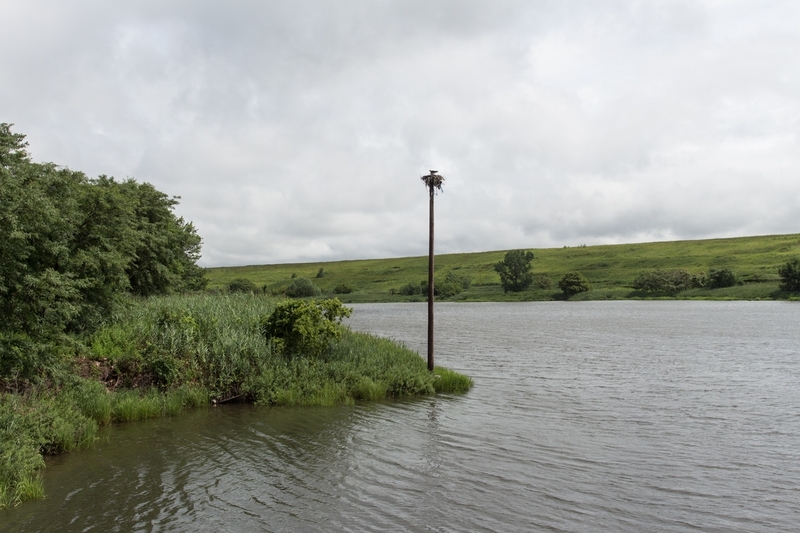 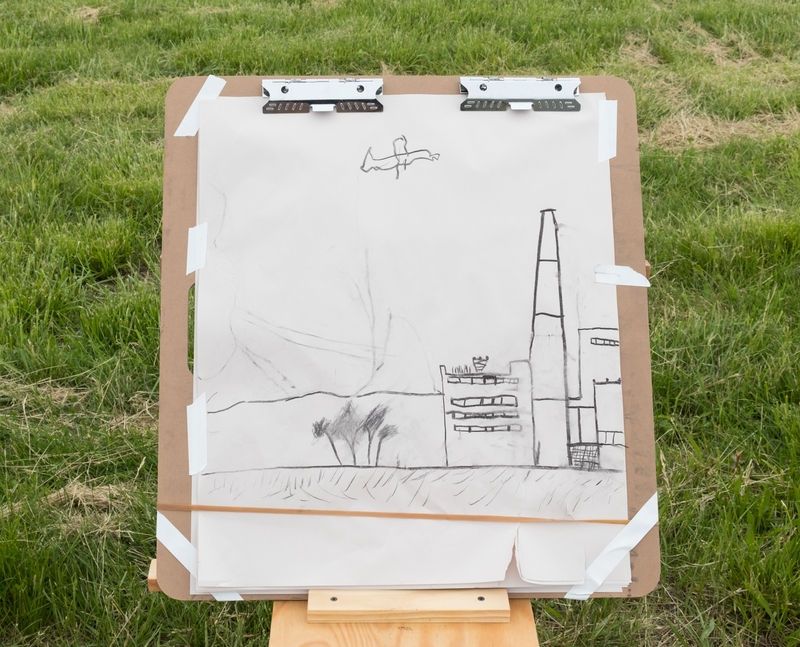 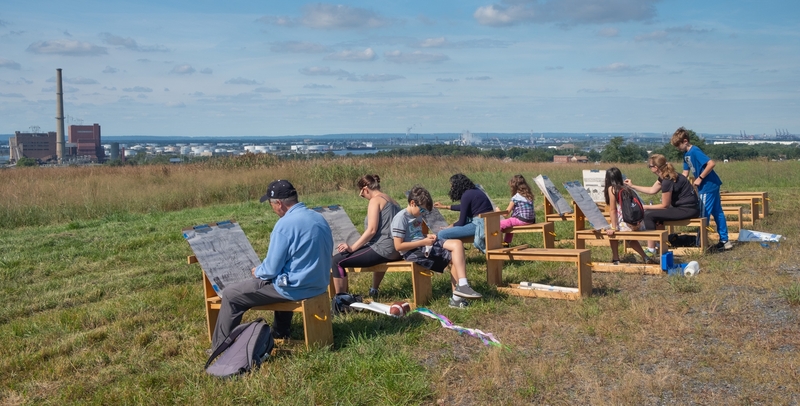 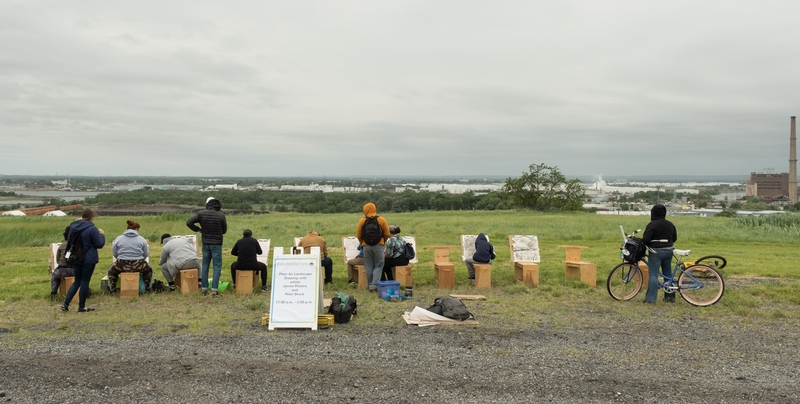 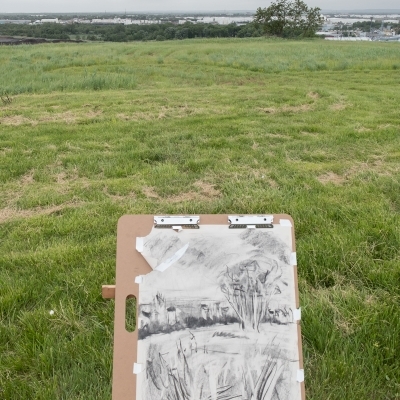 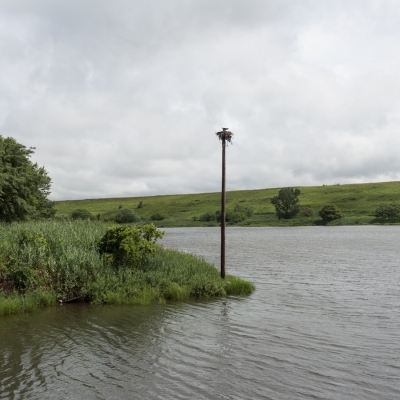 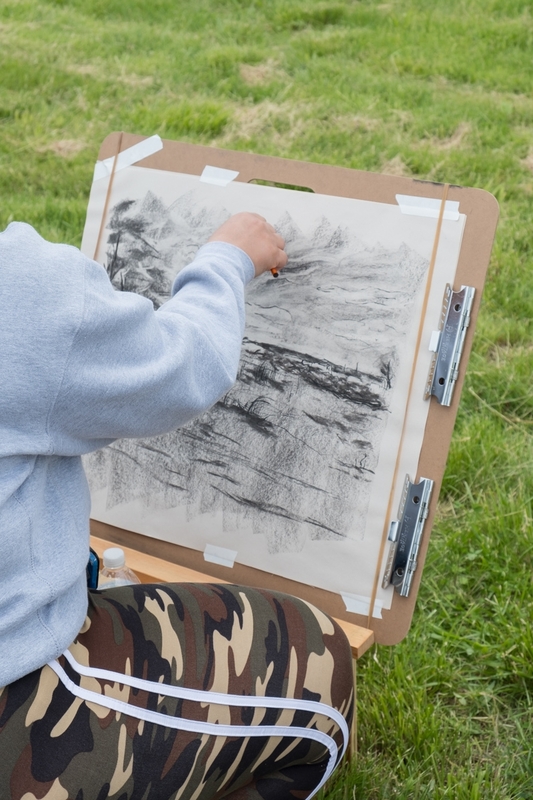 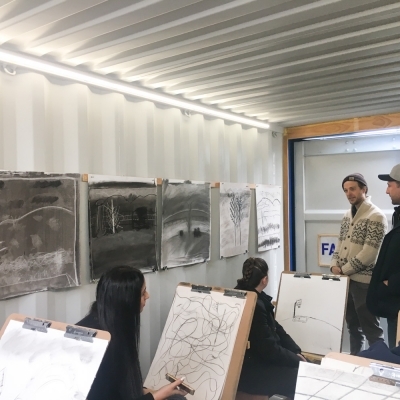 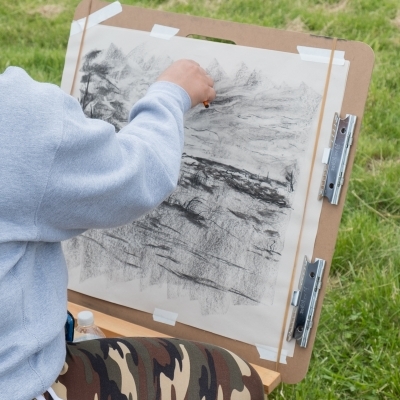 In the Spring of 2018, in partnership with the Freshkills Park Alliance, NYC Parks, and NYC Department of Sanitation, I developed a pilot program teaching plein-air landscape drawing at Freshkills. 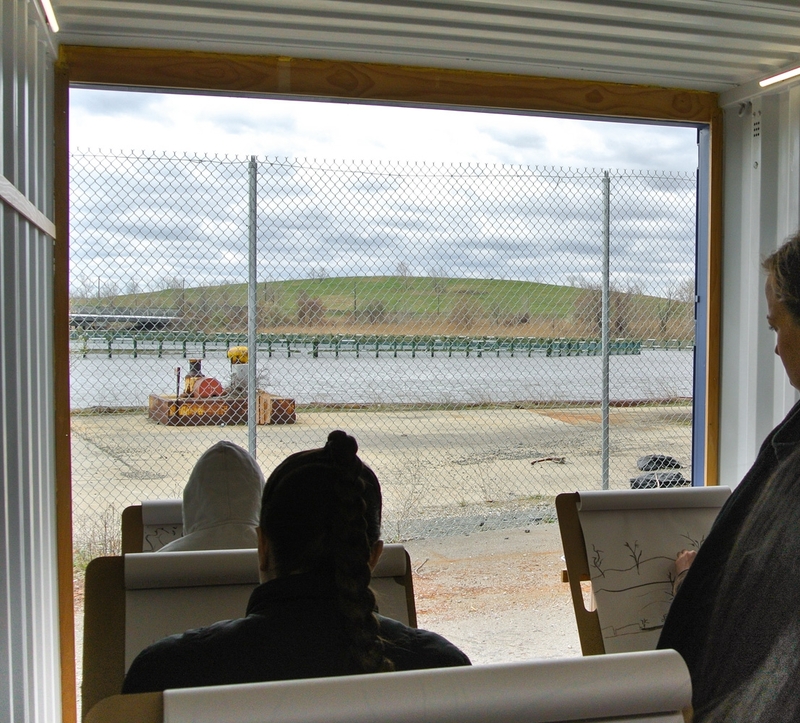 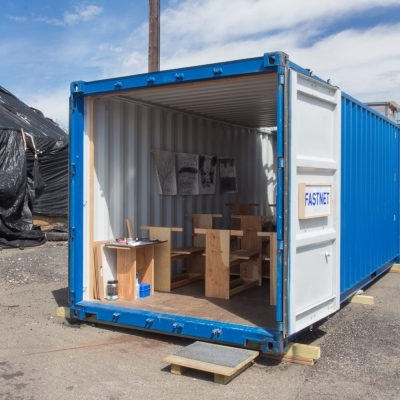 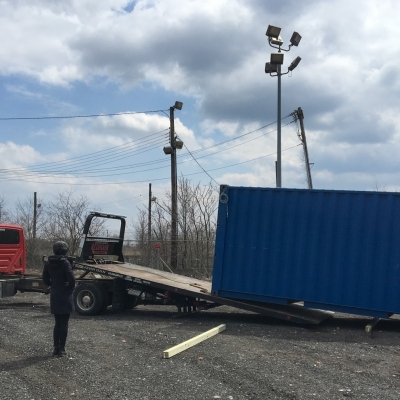 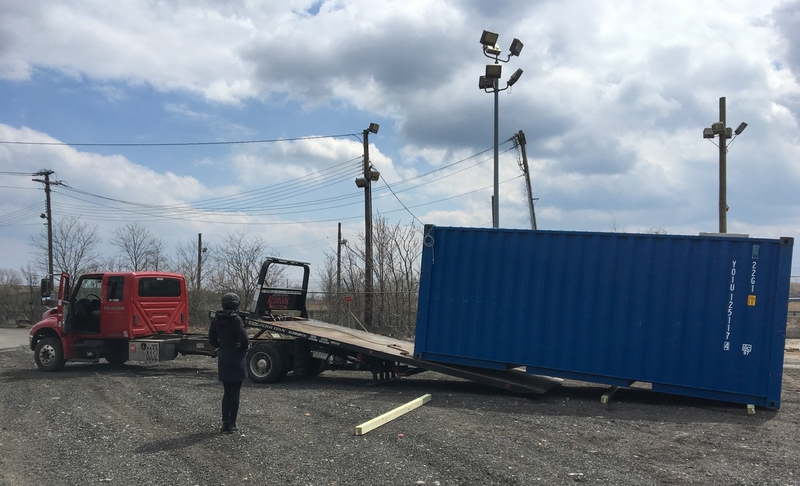 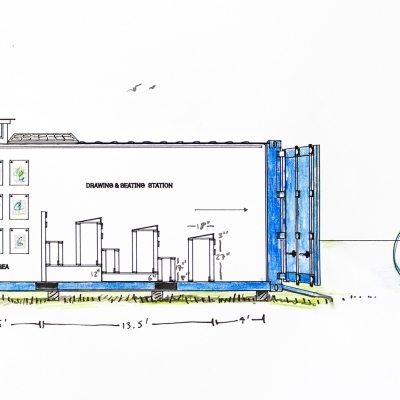 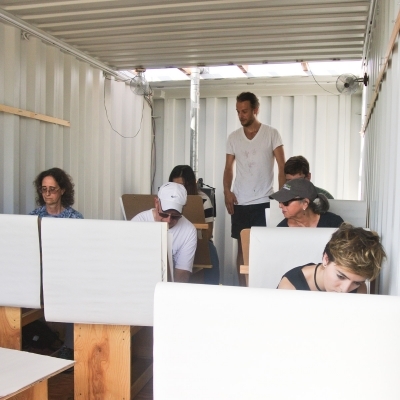 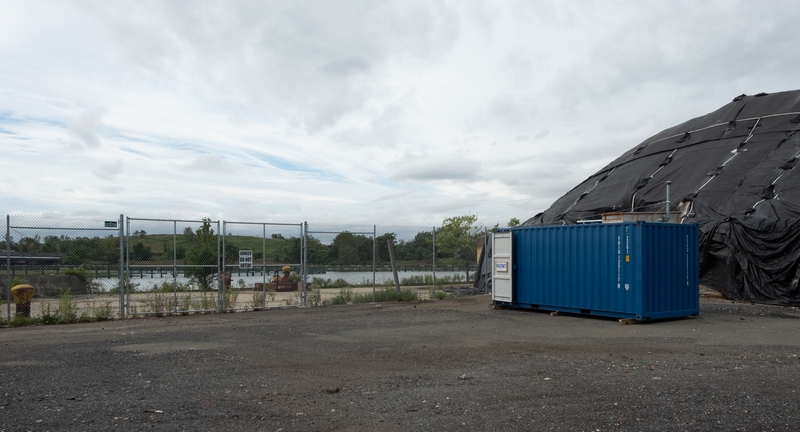 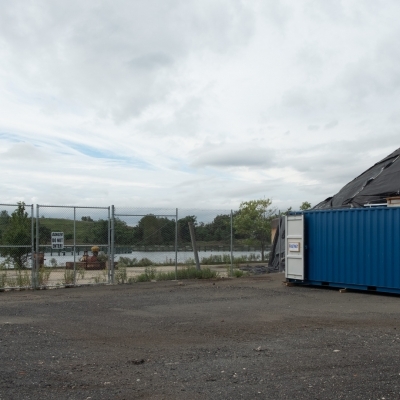 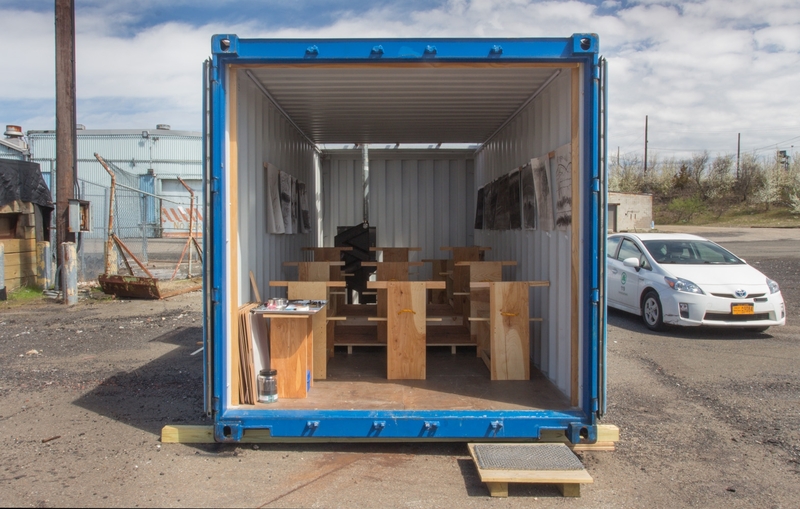 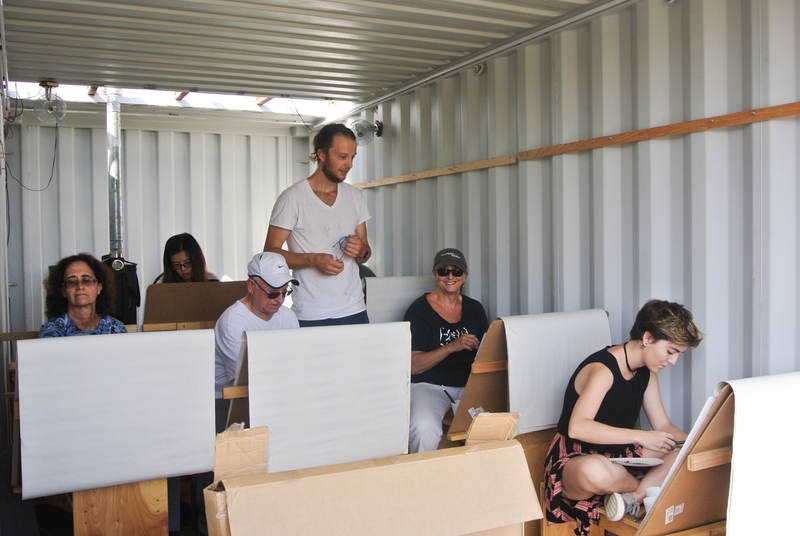 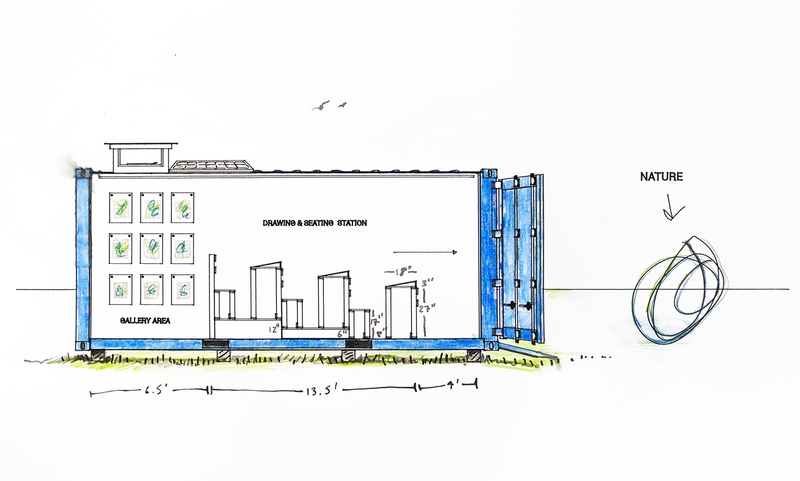 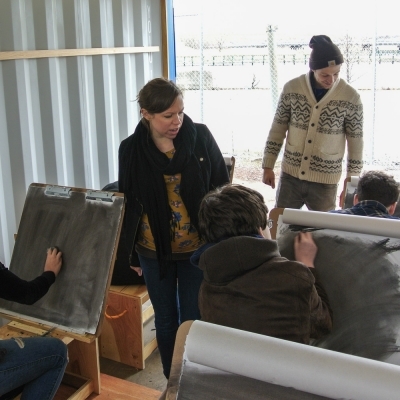 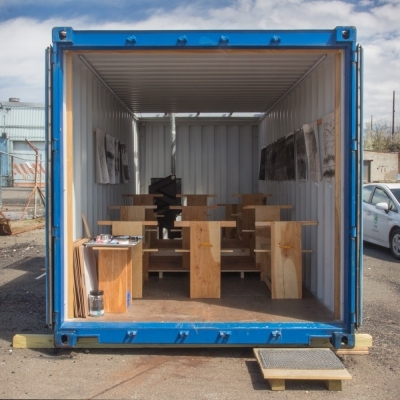 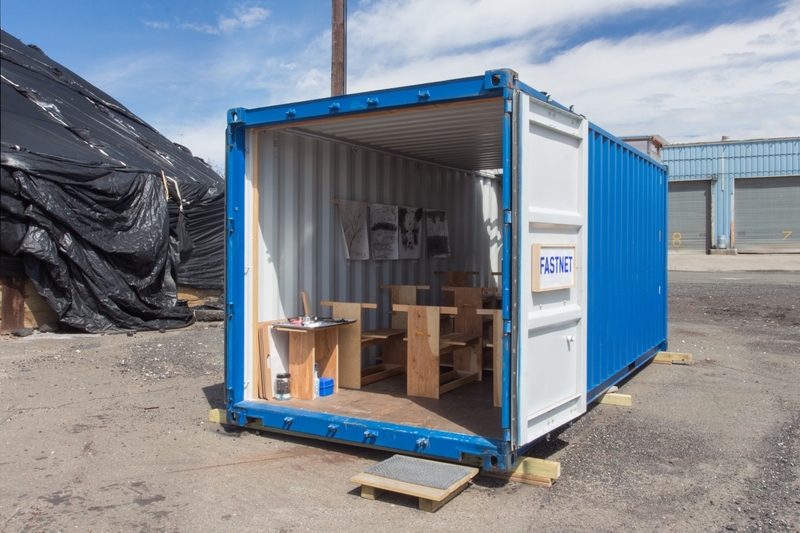 Inside the container, I built elevated platforms and drawing horses. 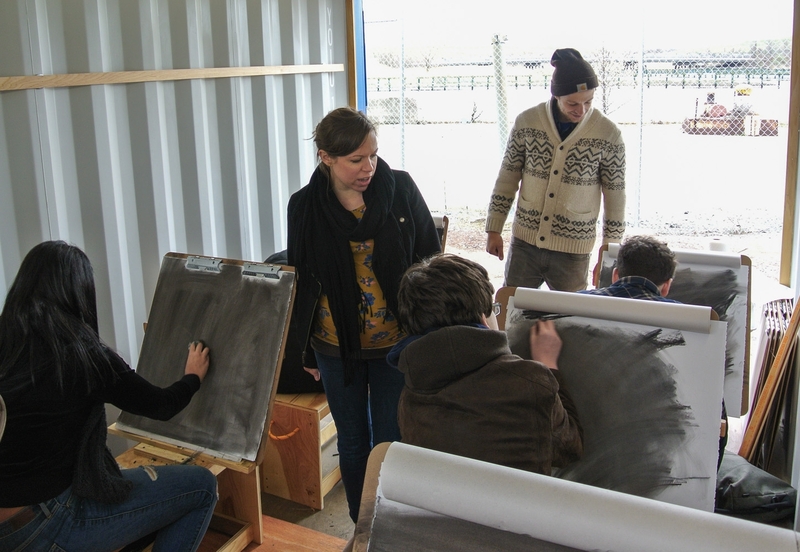 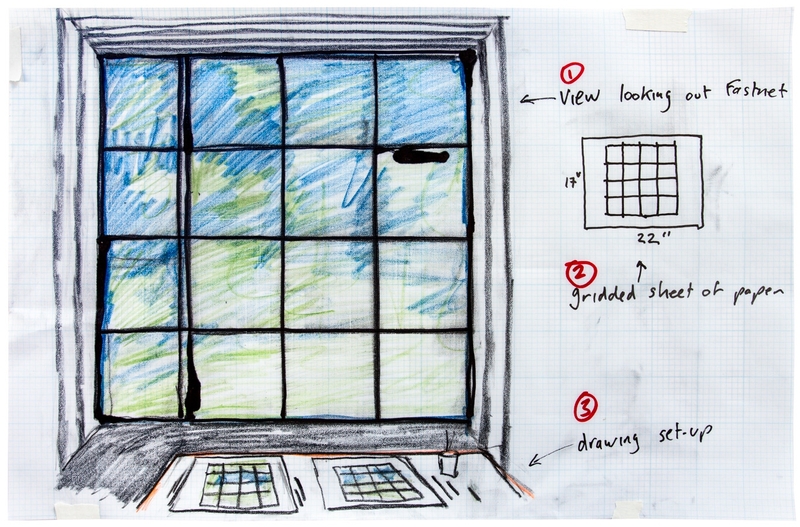 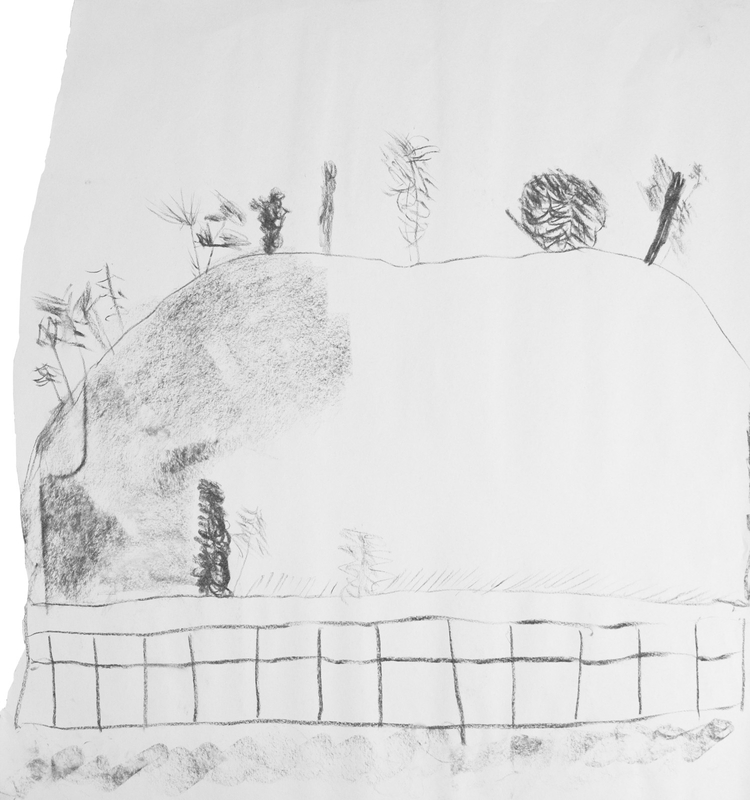 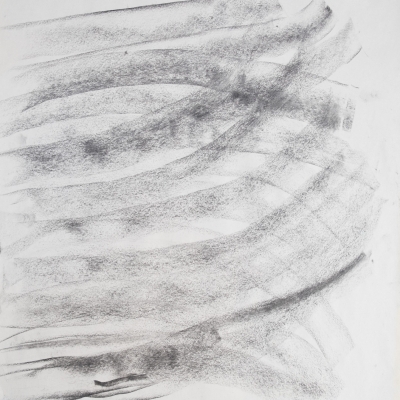 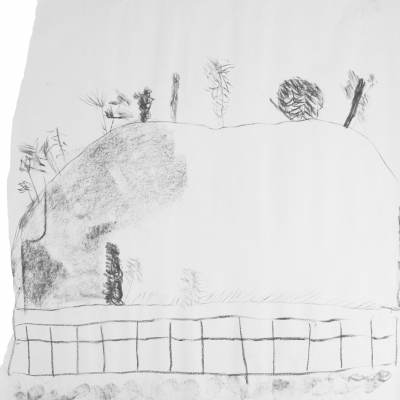 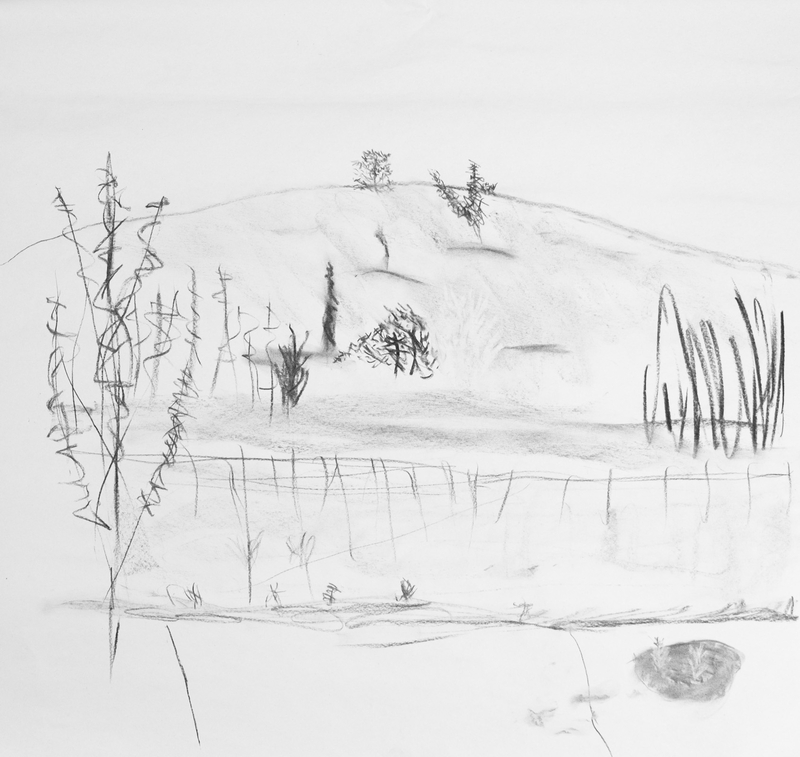 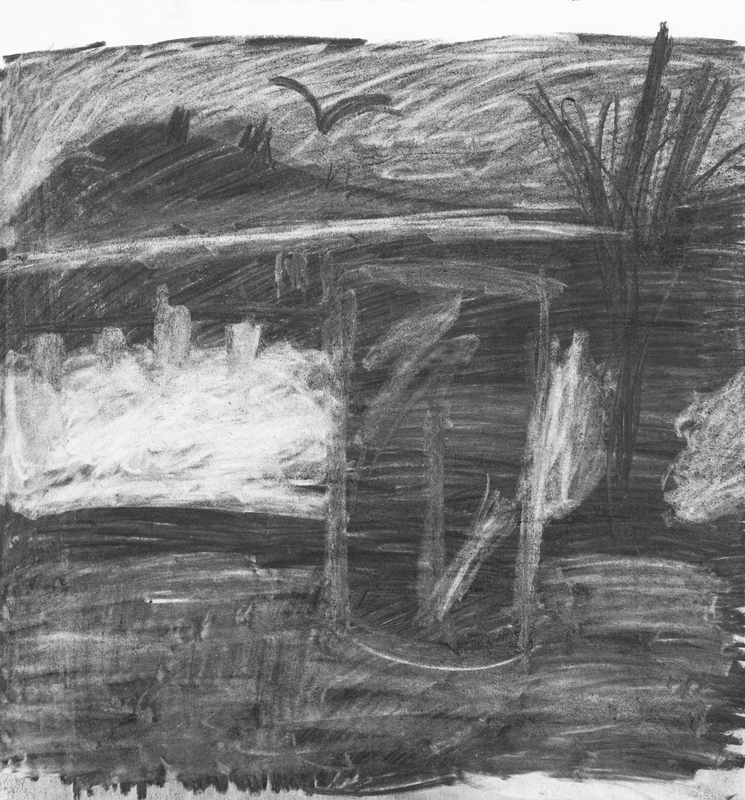 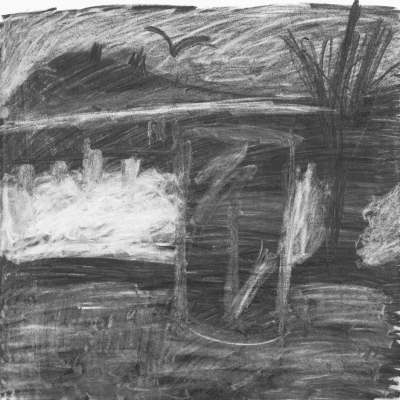 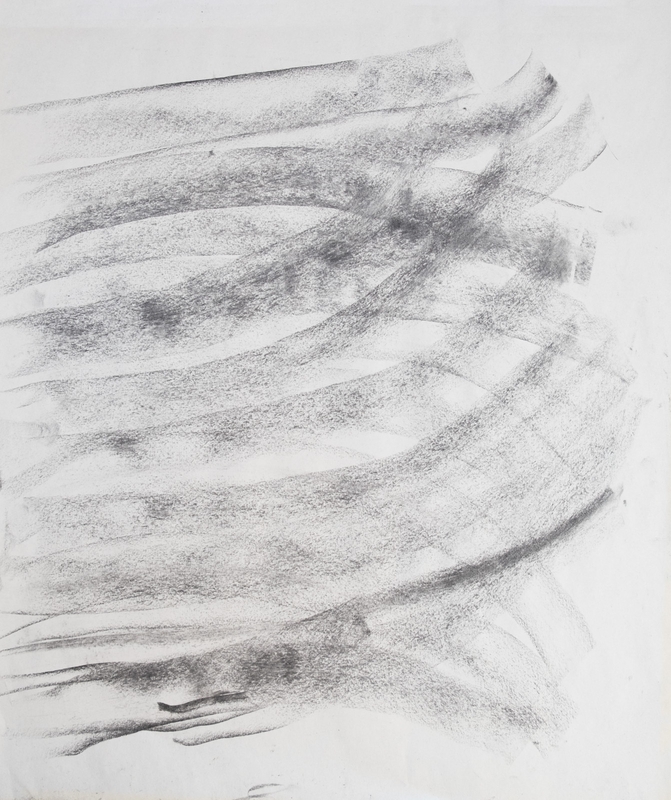 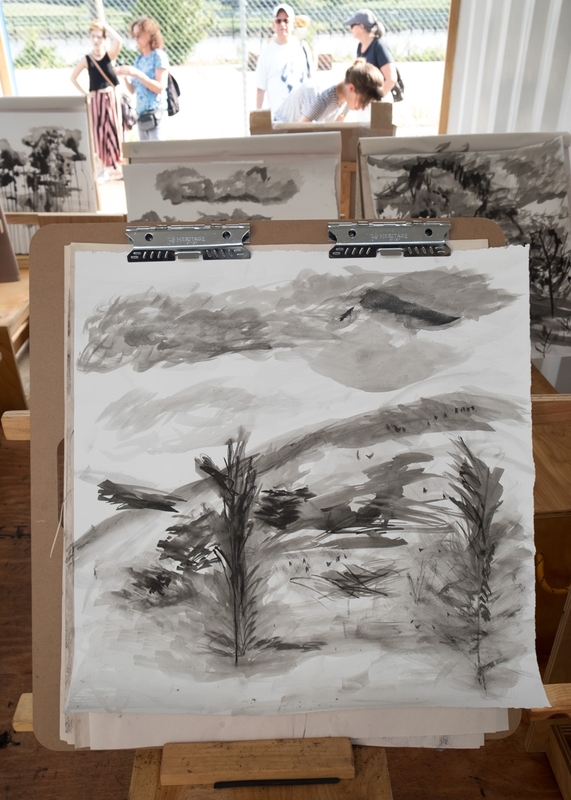 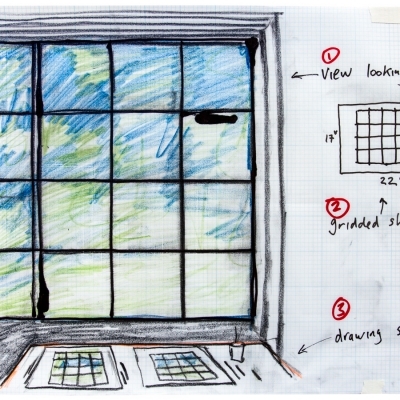 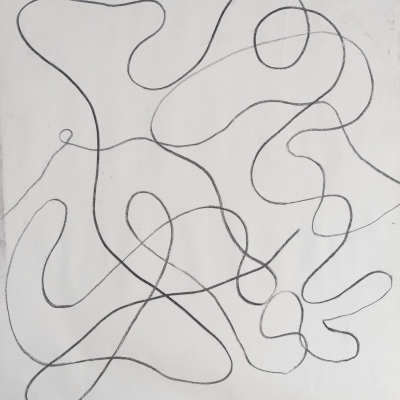 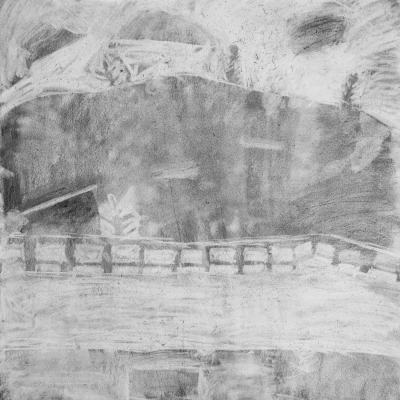 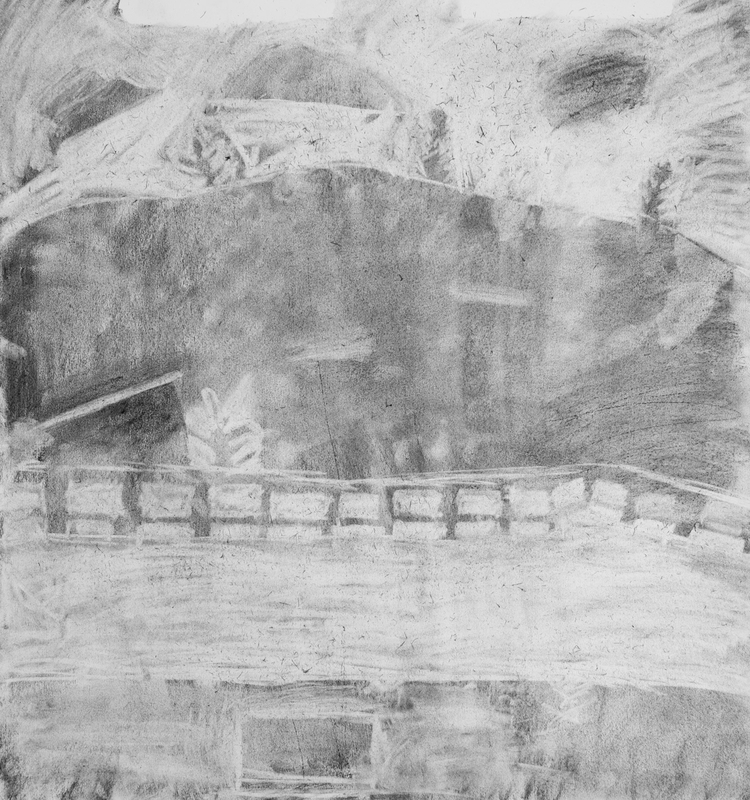 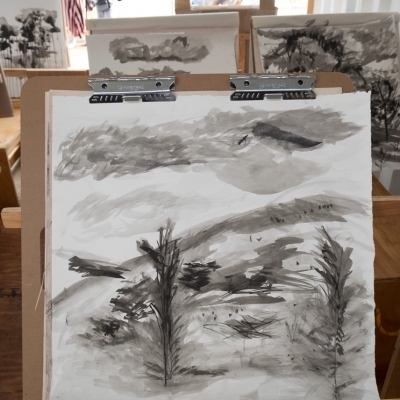 During the workshops we use charcoal and, depending on the advancement of the students – ink on paper. 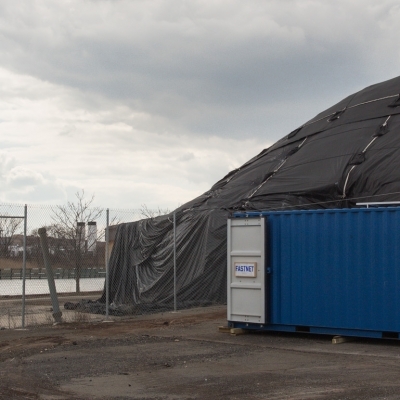 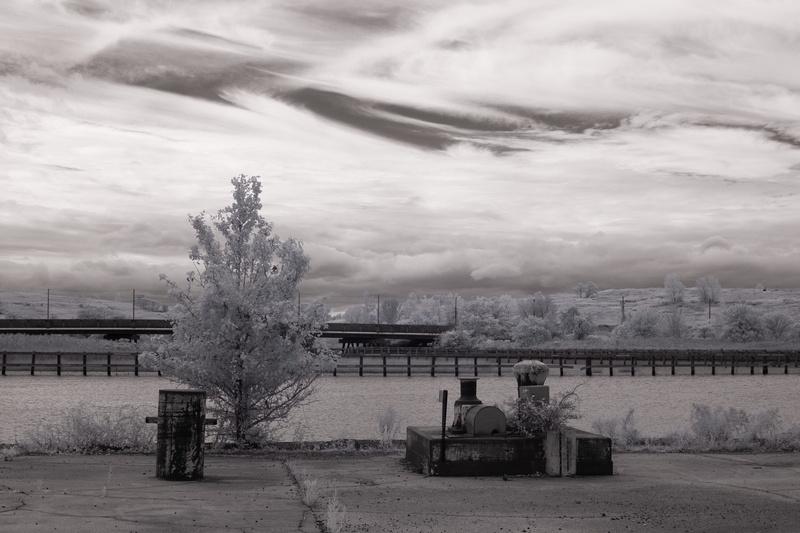 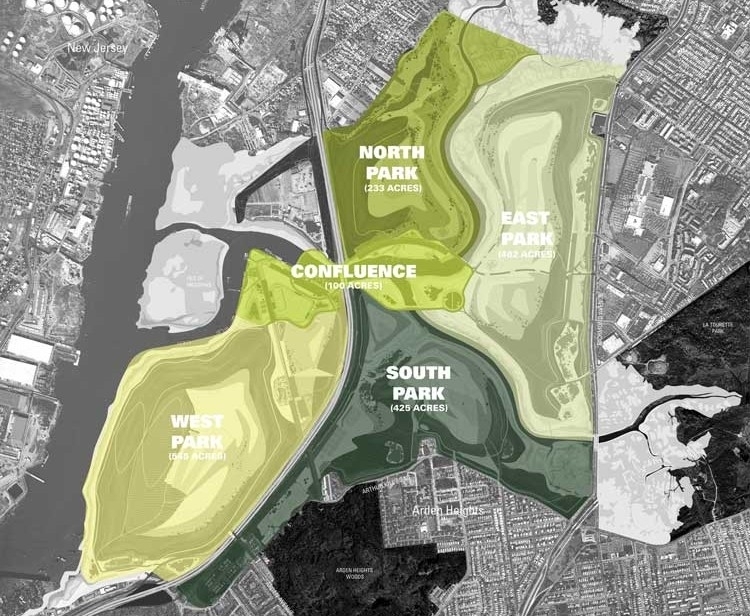 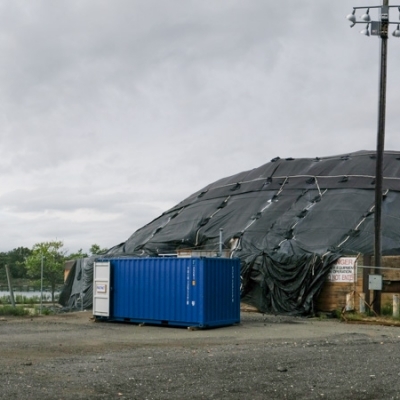 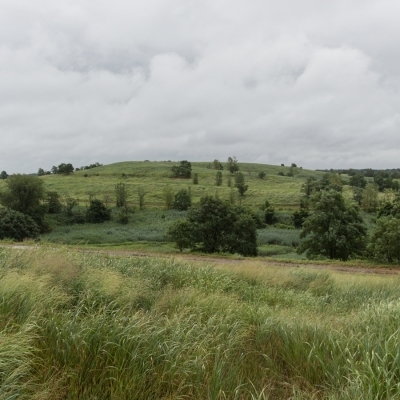 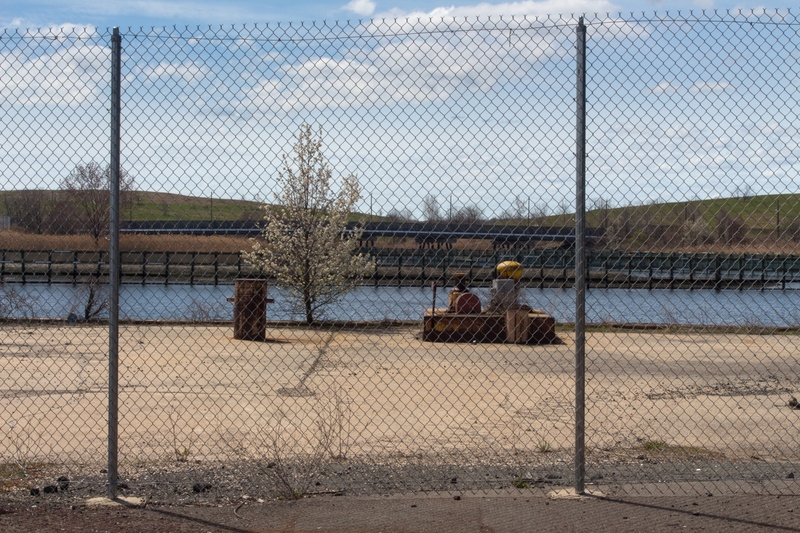 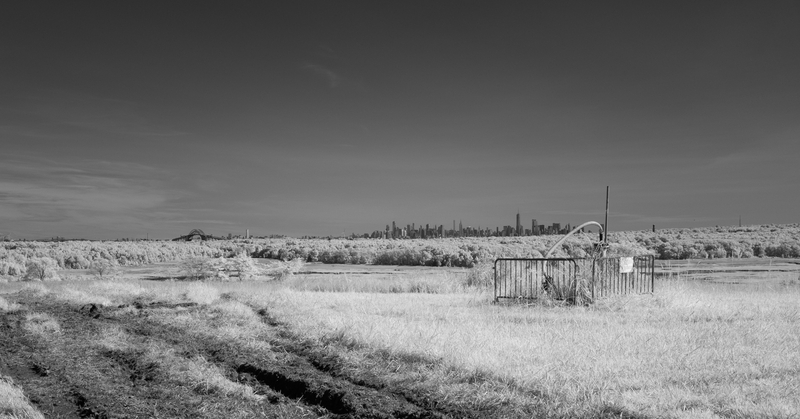 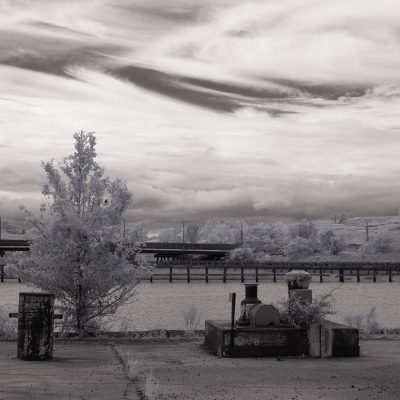 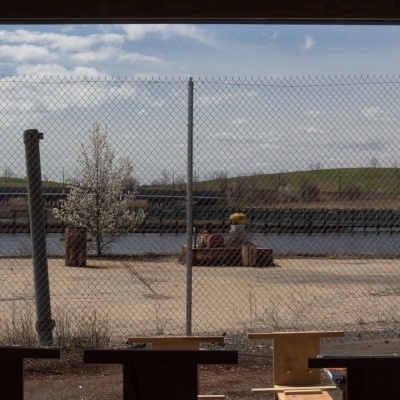 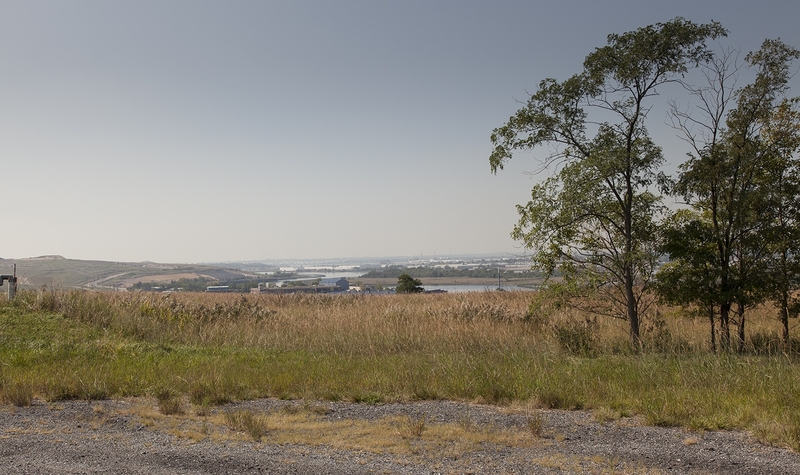 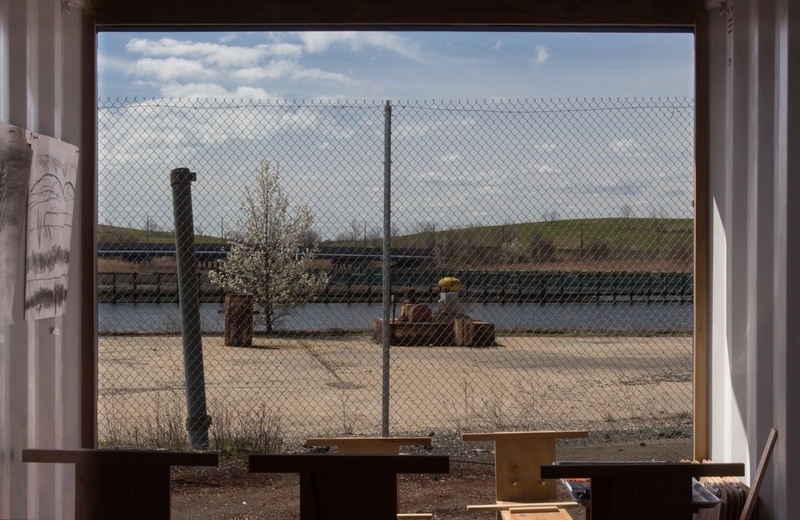 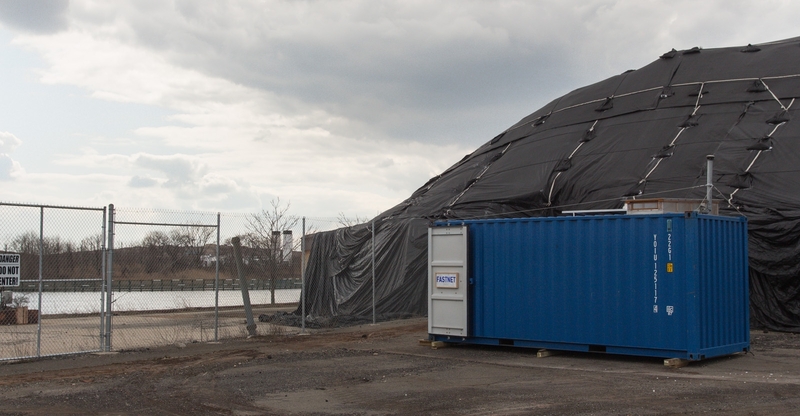 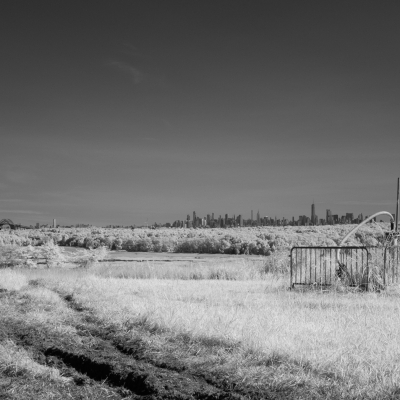 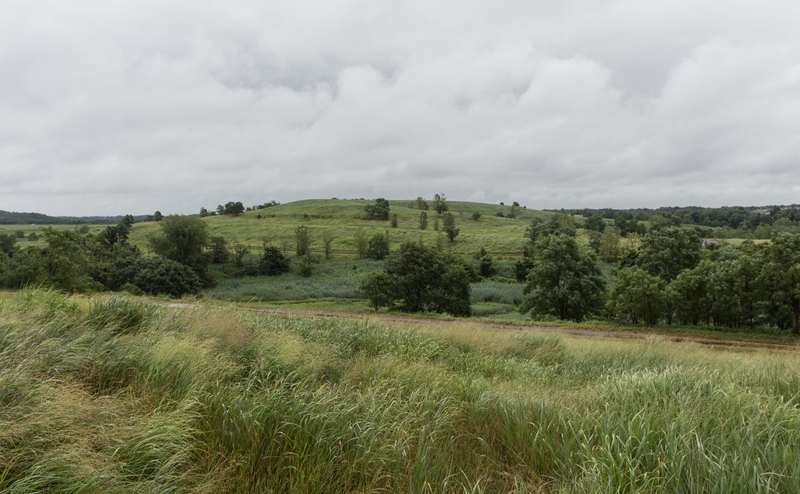 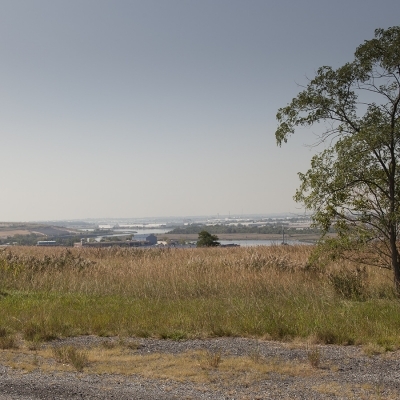 Located on the West Shore of Staten Island, Fresh Kills Landfill was NYC’s primary landfill for several decades. 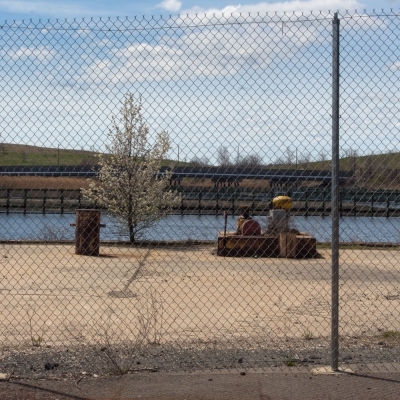 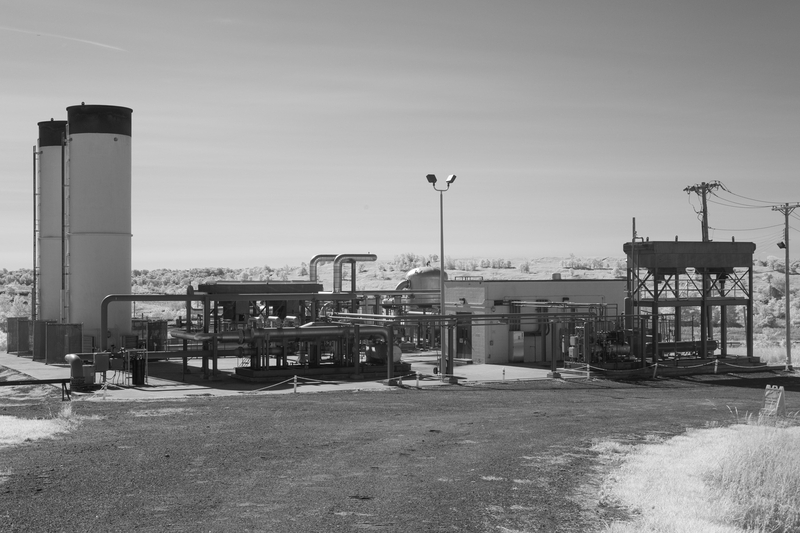 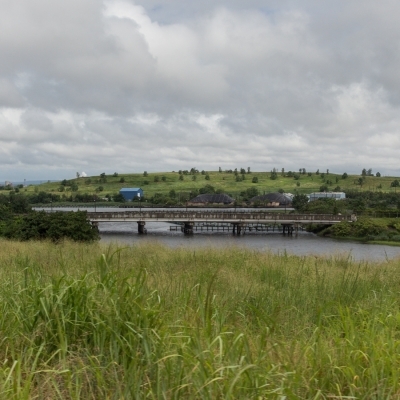 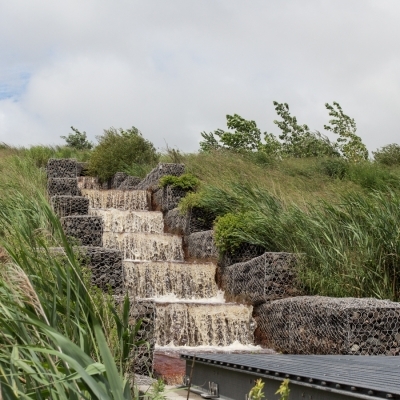 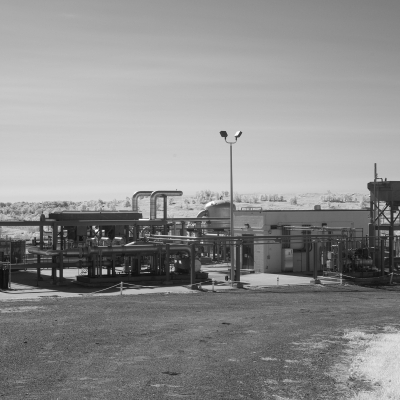 In 2001, the park closed and it is now the largest landfill-to-park project in the world. 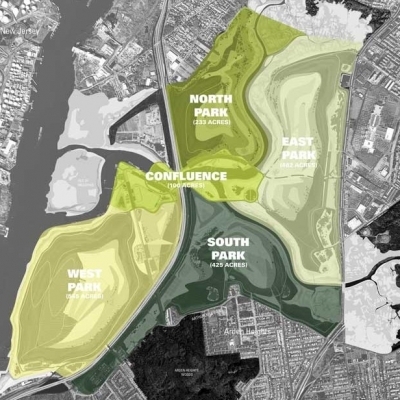 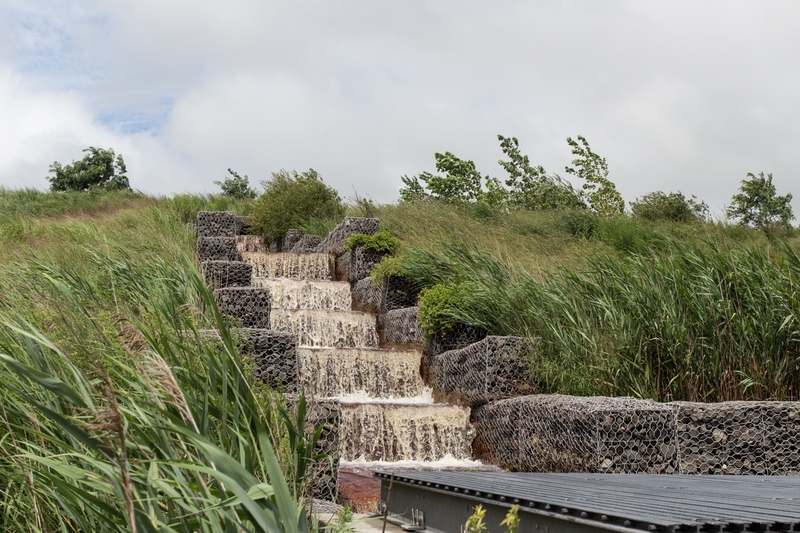 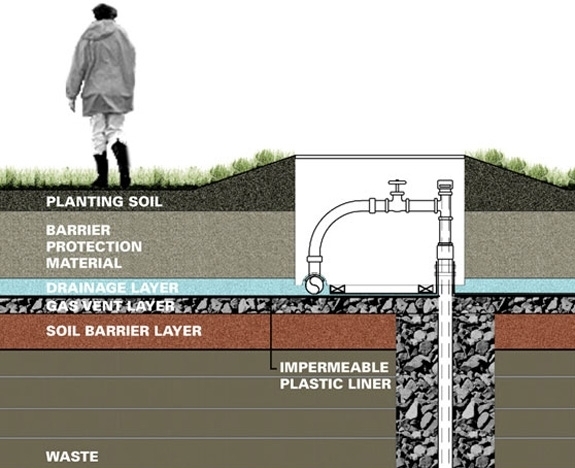 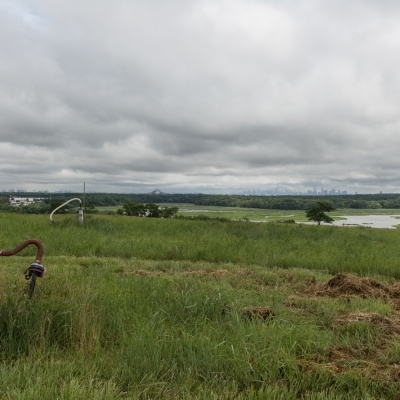 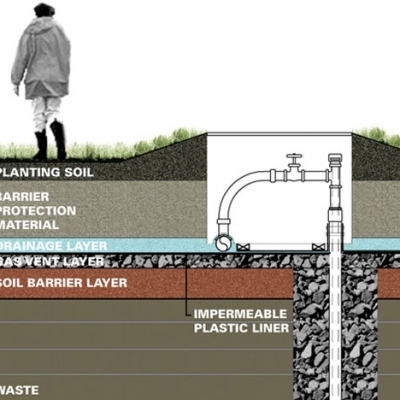 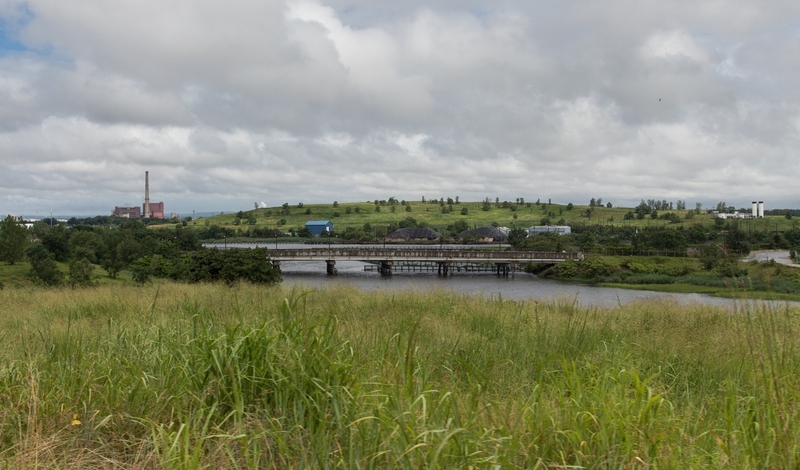 The ambitious revitalization of 2,200 acres is underway to convert the landfill into a park by 2040. 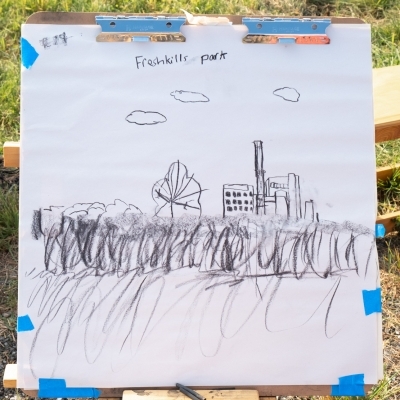 Special thanks to Mariel Villere, Manager for Programs, Arts and Grants, at Freshkills Park, NYC Parks for facilitating Fastnet. 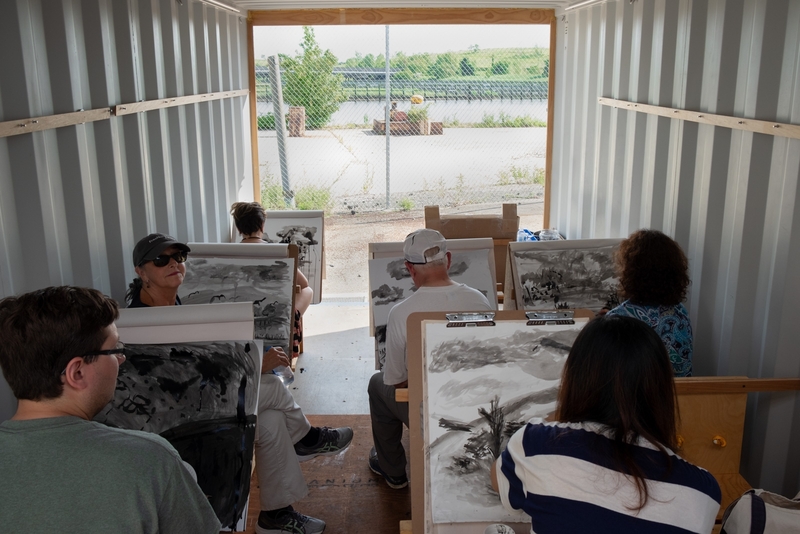 This project is made possible (in part) by a DCA Art Fund Grant from Staten Island Arts, with public funding from the New York City Department of Cultural Affairs; and ConEdison.